I mentioned a few months back that I needed to upgrade my pannier game. I was getting back into cycling to work, but the biggest challenge was my need for a pannier that would fit my laptop. Back when I first got my panniers, a pair of large Transit ones from Performance Bike (I don't see the ones I got but that was over ten years ago, I'm sure they've upgraded as well), I was not using a laptop, so this wasn't even a concern. I even used a sort of slick Transit "Metro" Pannier that converted into a messenger bag. I could pull it off my bike and use it for all my stuff I took to and from the office, leaving the bike specific stuff in the other pannier at the bike parking station at our office (which was secure). I still have both the large panniers and the Metro Pannier. They're well made items and I would still recommend them to anyone who doesn't use a large laptop. Maybe the elastic bands helping to hold the panniers in place on the bike rack are a bit loose now after a number of years. But now, I have the aforementioned large laptop that I have to bring home with me each night. It's a 15" by 10" model machine, and frankly it doesn't fit in either of my panniers in a manner that makes me comfortable with its not being damaged during a ride. It doesn't fit in the Metro at all, by a couple of inches at least. And in the regular large panniers, it's just going to flop around and get scratched, at best. I have the laptop backpack that I use regularly on the bus and for pretty much everything else I do. It's basically my purse. I keep a lot more stuff in there than I probably need to, but pretty much everything in there has been used at least once. And as I've said in the past, I don't like having a sweaty back when I get to work. I'd rather keep the weight low and off my body as much as possible. This one looks like it's a great system. It's waterproof, looks good enough to carry with you, holds a laptop up to 15", and has room for a fair amount of other stuff. Also, it's got a very interesting locking clasp to keep it on your bike rack. It can be carried like a messenger bag when you disconnect it and stow away the mounting hardware. Criticisms are that it's deep instead of wide, making it hard to see what you have in the bag without dumping everything out, and that also means that some people may have trouble with hitting the back of your heel against it when riding. But the reviews are very favorable in general. And I think it looks great. 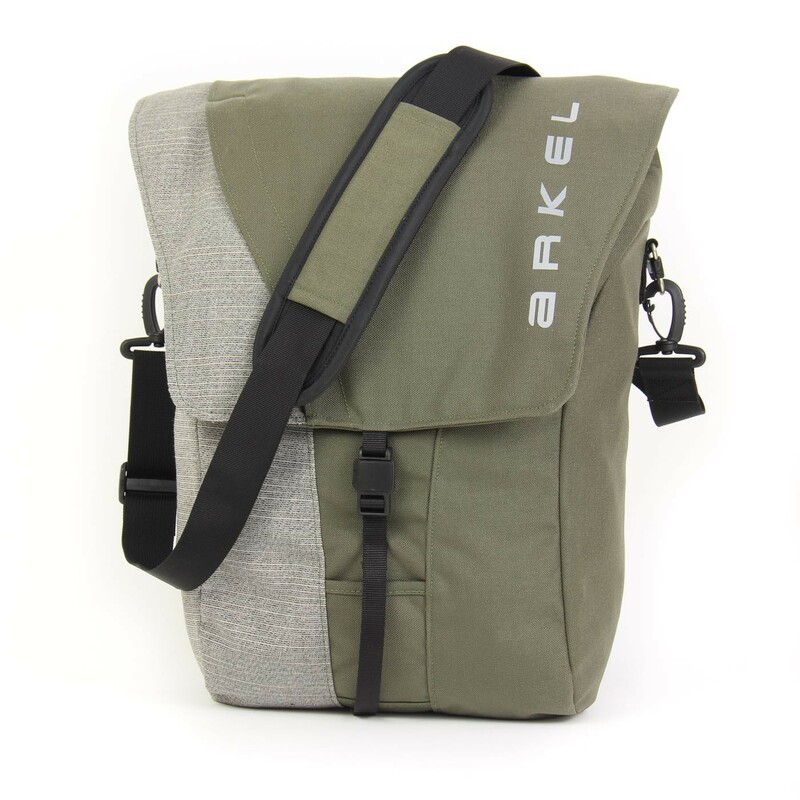 According to the Arkel website, this pannier is available locally at Bicycle One in Gahanna. I don't see it listed on their website, but they may be able to order it for you (and of course you should always support local bike shops). 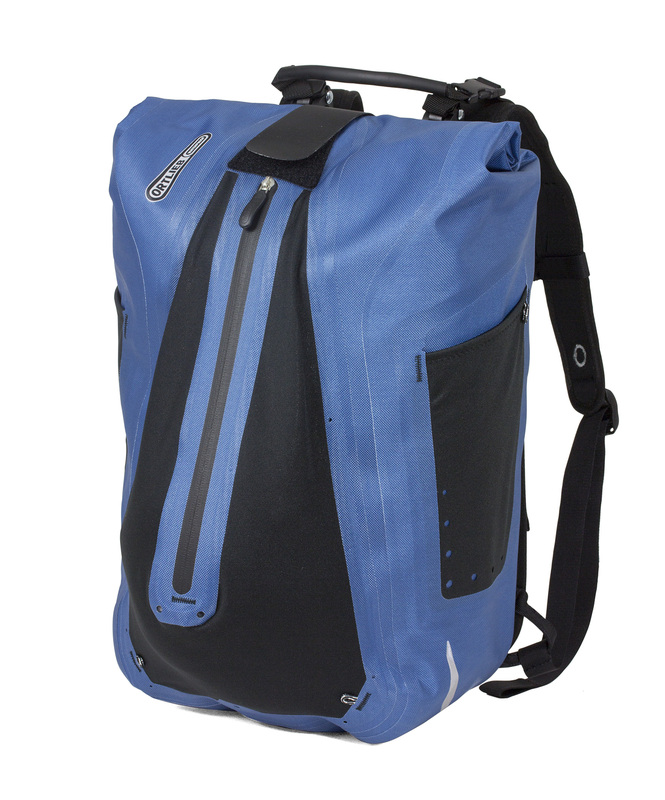 Axiom has a number of models of panniers available. The Monsoon series seems to be their commuter series. Two of those, the 23+ and 18+ (I think these are named for the # of liters of capacity they have) actually comes with a protective envelope to keep your laptop in along with cords, a mouse, pens, etc. It seems almost perfect... except those envelopes only hold up to a 14" laptop. Missed it by one inch! Still, for anything smaller than mine it should be a good model. Local dealers include Bike Source (Clintonville and Dublin), Revolution Cycles (Short North), and Paradise Garage (also Short North). This one may be the complete package for what I need and want. First, it seems it will hold my computer - up to 15". Second, it's got a really neat way to stow away the mounting hardware. Thule is also a name that everyone knows, and for the right reasons (I realize I've been out of cycling for a while, but I'd never heard of the above two till researching this article). It also allows for the insertion of a light for safety, has a carrying strap (they all had this, though), a roll-top closure (personally preferred for the best water-shedding abilities), and exterior compression straps to keep things from bouncing around too much. 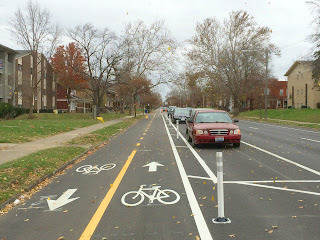 Also available at Bike Source (Clintonville and Dublin), as well as Best Buy stores all around the area. 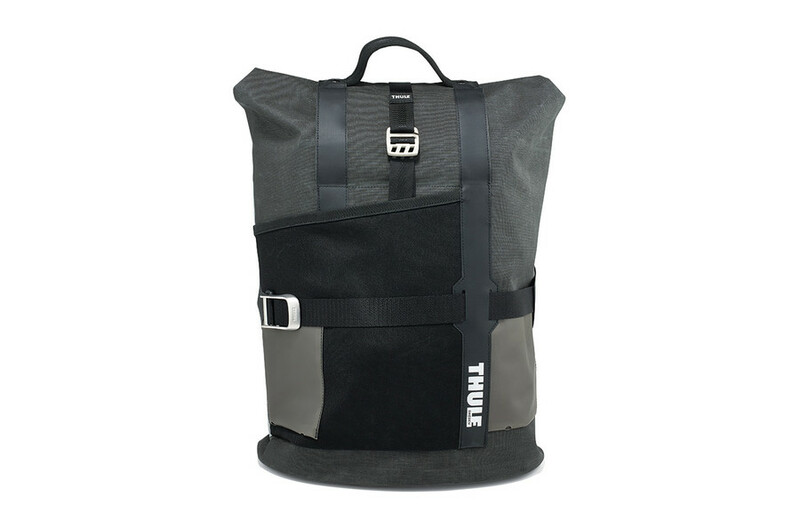 Ortlieb is another very well-known brand with a number of options for bags, but the one that grabbed my attention was the Vario - mostly because it seems it will fit my laptop. They have a couple of different options for mounting hardware so I recommend checking that out on their support page - they're all well documented. And it seems the Vario bag comes with hardware for both their Quick-Lock 3.1 and 2.1 systems, both of which you can see on the aforementioned support page. 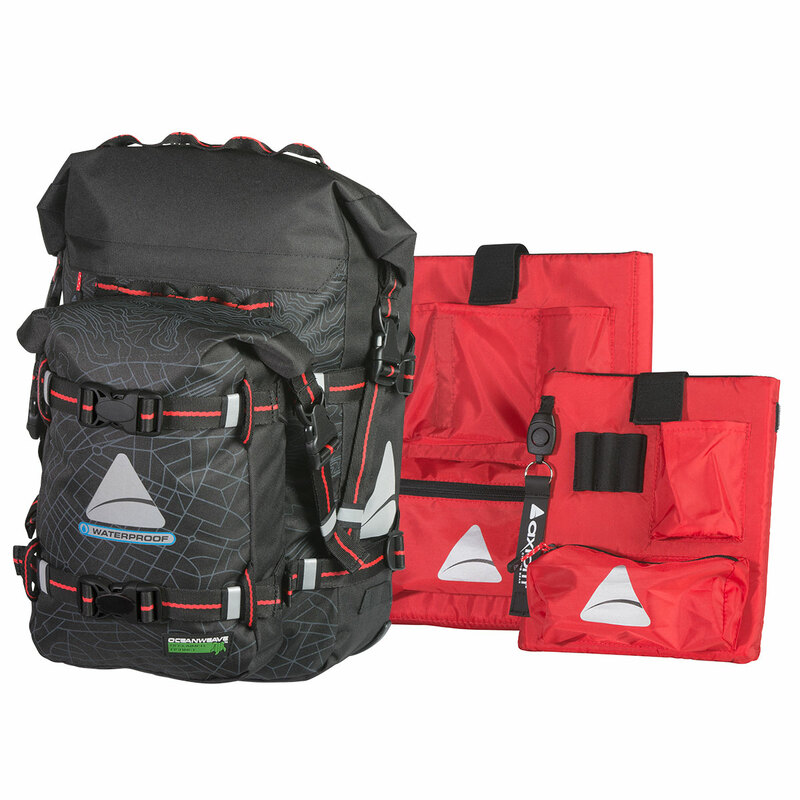 Ortlieb gear is available all over the place and all around the Columbus area. 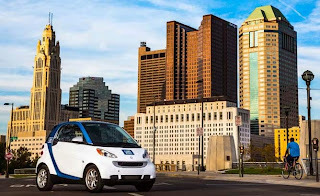 Baer Wheels (Clintonville), roll: (Upper Arlington, Bexley, Polaris), and and Paradise Garage (Short North). At this point, the one I'm really looking at most closely is the Ortlieb Vario. It just seems like it's going to be the most versatile and functional of all the models I've looked at. This is hardly a complete look, of course. Check out this article for a good look at a bunch of other models. And no matter what I do, I'm going to take the laptop with me and buy in-person if at all possible. Too many of these models seem to top out at 15.4" - which is not a whole lot of wiggle room for me. I'll keep you all posted on what I do end up with and do a good review.